Courses are open to all educators and other professionals. These courses are presented as part of the Advanced Inquiry Program Master’s degree (AIP). Students enrolled in AIP or other students taking the courses for credit will be given priority enrollment. If there is space in the course, Washington state-approved clock hours will be available to those participants not taking the course for credit. Unless noted otherwise, all courses take place at Woodland Park Zoo and include presentations by guest speakers, tours of zoo grounds, group discussions and hands-on activities. Find out more about our courses which are offered throughout the year by clicking on the course listings below. Course fee for 3 graduate credits: $1,425 Miami University / Woodland Park Zoo course fee covers the cost of credit and course administration for 3 graduate semester credits, including zoo admission, materials and snacks. Course fee for 30 STEM clock hours/audit: $390 Woodland Park Zoo course fee. Fees cover zoo admission, materials, snacks and Washington state-approved STEM clock hours. This course is currently full. Newly admitted AIP students will be able to register for Foundations of Inquiry through Miami University for summer 2019. 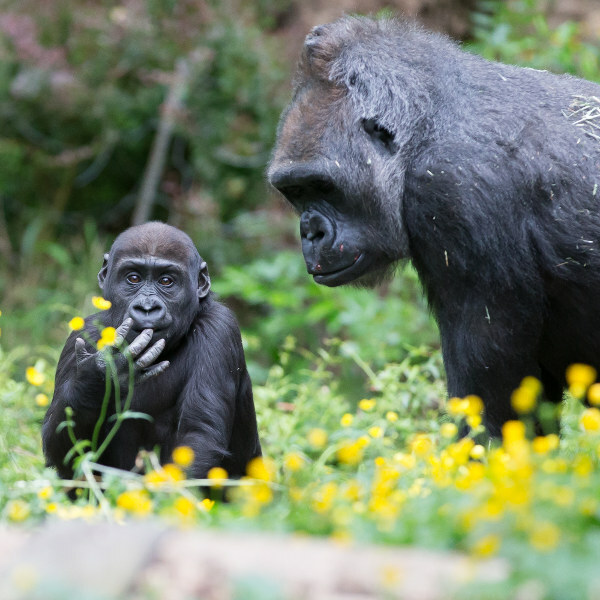 This course will engage participants in exploring the foundations of inquiry-based teaching and learning while gaining a new familiarity with Woodland Park Zoo as an informal science education setting. Through making observations on zoo grounds, developing comparative questions, creating scientific investigations and communicating results, participants will experience the full inquiry process and will learn how to facilitate this process with their audiences. Course activities will demonstrate the applications of inquiry in the classroom, on zoo grounds, in the schoolyard and other outdoor settings. We will also discuss case studies that illustrate the effectiveness of inquiry in improving science learning and engaging people as leaders in their communities. Through this course, participants will develop the investigation, critical reflection, and collaboration skills needed to lead and assess inquiry‐driven learning for diverse communities. Those participants taking the course for credit will complete web-based coursework from late May through early August. Become a conservation leader in your own community and learn about wildlife conservation solutions from around the world! 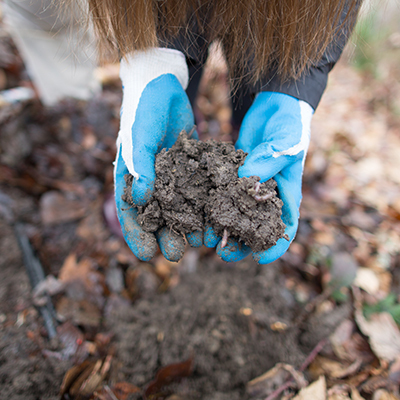 Participants in this course investigate environmental stewardship and conservation science and learn how to apply these topics in their local communities through inquiry-based teaching and learning. Course participants will consider local and global conservation issues affecting wildlife while focusing on three major opportunities for engaging in effective ecological change: 1) reducing our carbon footprints to slow the impacts of climate change, 2) making sustainable consumer choices to conserve resources and support wildlife conservation, and 3) engaging in place-based education to understand and care for the natural world. At the end of this course, participants will have a solid understanding of community-based conservation strategies and will gain skills that can be used to design actionable and empowering environmental stewardship initiatives. Those participants taking the course for credit will complete web-based coursework from late May through early August. Course fee for 3 graduate credits (2 in summer semester, 1 in fall semester): $1,425 Woodland Park Zoo / Miami University course fee + $315 field trip supplement covers the cost of credit and course administration for 3 graduate semester credits, including zoo admission, materials, most meals (two lunches are on your own), transportation and lodging. Course fee for 30 STEM clock hours/audit: $705 Woodland Park Zoo course fee (includes field trip supplement). Fees cover zoo admission, materials, most meals (two lunches are on your own), transportation, lodging and Washington state-approved STEM clock hours. Through both zoo-based and field-based experiences, this course will explore wildlife conservation issues in the Pacific Northwest as well as field investigation techniques that scientists and citizens alike can use to study and conserve our local ecoregions and wildlife. On the first course day at Woodland Park Zoo, we will explore the fascinating animals and plants of Washington’s North Cascades ecoregion through presentations, activities and observations of animals on zoo grounds. Over the next four days (three nights), we will travel to the North Cascades ecoregion to explore the course themes through immersive field experiences, focusing on case studies related to wolverine research, grizzly bear recovery, climate change impacts on mountain wildlife and other wildlife conservation issues. These experiences will include visits to local natural areas and talks with people involved in habitat restoration and wildlife research and conservation. Participants will also explore field and community-based investigation techniques that scientists and community members can use to study and conserve local wildlife. Additional course themes include wildlife health, wildlife reintroduction and population management, restoration ecology and the roles of zoos and aquaria in conservation. Those participants taking the course for credit will complete web-based coursework from late May through early November. The Thursday session is most appropriate for K-3 formal educators; the Friday session is most appropriate for 3-5 formal educators. Participants may register for one or both sessions. Course fee for 6 or 12 STEM clock hours/audit: $78 (one session) or $156 (both sessions) Woodland Park Zoo course fee. Fees cover zoo admission, materials, snacks and Washington state-approved STEM clock hours. Session 1: A school field trip to the zoo provides an opportunity for young learners to observe animals, connect with nature, build STEM skills, and develop empathy. Using a neuroscience and nature play lens, this course will focus on practical ways to cultivate science skills and social emotional learning. There will be an additional focus on ways to inclusively address these skills for young learners with diverse abilities. Session 2: A school field trip to the zoo can spark curiosity and provide an opportunity for students to observe animal-focused phenomena, from animal play to remarkable adaptations for survival. 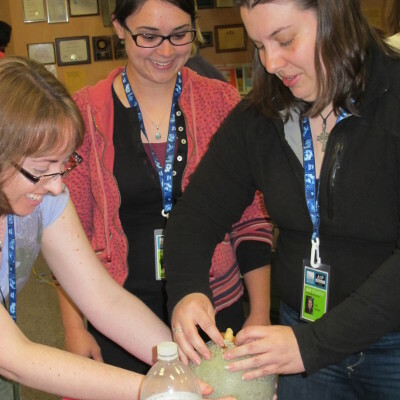 During this Next Generation Science Standards (NGSS) focused course, participants will explore strategies for facilitating science learning experiences at the zoo. Experiences on zoo grounds, discussions, and activities will support participants in engaging students in STEM practices and building empathy for animals. If you cannot find the answers to your questions or need additional assistance please contact the registration office by phone at 206.548.2424 x4 or by email.